Intra-office musings on whatever strikes our fancy. Being that we are an Atlanta-based company, we like to try to bring as many meetings home as we possibly can. However, when trying to convince clients to bring their event to Atlanta, one question that typically arises is, ”What is so special about Atlanta?” Bringing your meeting or event to Atlanta will give attendees a true taste of southern charm! From chicken and waffles to potlikkers and sweet potato pie (complete with a back rub if you visit Mary Mac’s Tea Room), Atlanta offers some of the best in southern cuisine. Atlanta is also home to the World of Coca-Cola, the Braves, and the Georgia Aquarium (the world’s largest! ), not to mention 20 hotels and 13 restaurants that have been awarded with a 4 or 5 Diamond status by the American Automobile Association (AAA). 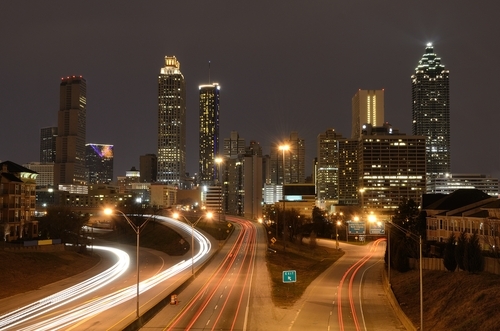 According to AAA, Atlanta is one of the cities with the nation’s highest number of 5 Diamond lodgings. In 2011, less than 1% of the 59,000 AAA approved lodgings and restaurants held this honor (Source: http://newsroom.aaa.com/wp-content/uploads/2011/09/5D_Facts_2011.pdf). Among those recently honored are the Four Seasons Hotel Atlanta (5 Diamonds), the Grand Hyatt Atlanta (4 Diamonds), the St. Regis Atlanta Hotel and Residences (5 Diamonds), the W Atlanta Downtown (4 Diamonds), the Omni Hotel at CNN Center (4 Diamonds), and the Ritz-Carlton Buckhead (which has maintained its 5 Diamonds for over 25 years). Each of these hotels is not only beautiful, but also offers great meeting spaces and excellent service. AAA also recently honored 13 Atlanta restaurants with 4 Diamonds each. The Atlanta Grill, Nikolai’s Roof, Canoe, and Restaurant Eugene are just a few of the Atlanta honorees on the list. The exquisite cuisine and private dining options make these establishments great choices for off-site dinners or receptions. We don’t mean to sound partial, but Atlanta really is a great location for special events, meetings and vacations. We just thought you should know! You’re at the airport waiting to board your plane. You look at your ticket and realize that you’re in zone 4, which means you have to wait until business class travelers, those with small children, those who need extra time boarding and those in the other zones board before you can finally get to your seat. Once your zone is called, you stand in a long line on the jet way, a line made long by the large number of people who boarded before you who are now standing in the aisle of the plane taking off their jackets. By the time you get to your seat there is hardly any overhead space left, leaving you annoyed that you decided to carry-on instead of checking your luggage. Also, don’t forget about the obligatory ‘leap over the aisle and middle seat’ so you can squeeze next to the window. Why does boarding a plane have to be such a time consuming, difficult process? Dr. Jason Steffen, a particle physicist at Fermilab had the same question, and has found a solution that dramatically decreases the amount of time it takes to board a plane. While many studies have been conducted in an attempt to reduce the amount of time it takes to board a plane, Steffen’s is the first real-world tested theory that has been demonstrated to cut boarding time in half! Using the Steffen method, passengers are able to put their luggage in the overhead compartments without holding up everyone else. Also, no one has to move from their seat in order to let you get to yours (unless they ‘accidentally’ sit in the wrong seat), and you don’t have to wait in a long line for the crowded aisles to clear, making for a much faster and pleasant way to start your travels. Steffen’s findings were first published in 2008. Here we are almost 5 years later, and the majority of airlines are still using the traditional boarding method? Why is it that airlines haven’t adopted this strategy? Do you think that this real-world test will open some eyes? Pickle, and don’t forget dessert from Yum Yum Cupcakes. 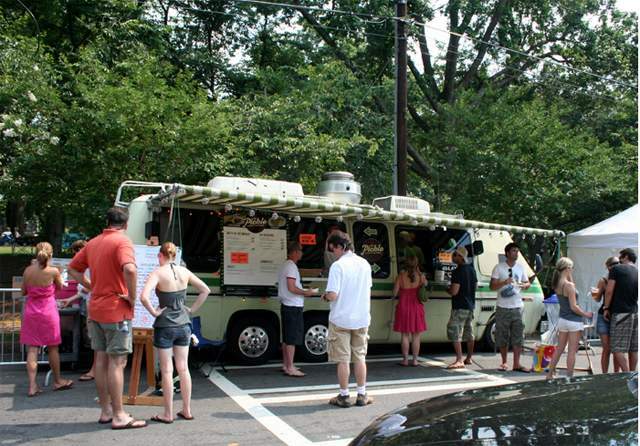 This revolution is mostly with thanks to the Atlanta Street Food Coalition, who are trying to popularize and re-brand food trucks in the metro area. 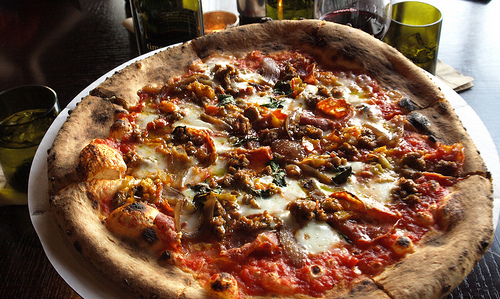 Even in slightly smaller cities like Fort Worth, Texas, food trucks continue to rise in popularity with choices ranging beyond your standard taco truck to Holy Smokes BBQ (where they smoke all their meat onsite and provide homemade pickles with every order), and Il Cane Rosso, where you can get authentic Neopolitan pizzas. Perhaps some of the most exciting things about food trucks aren’t just the lower prices and the ability to eat on the go from somewhere other than a drive-through. It’s about community and authenticity. Restaurants are expensive to open and run, but food trucks provide a happy go-between for innovative cooks with delicacies to share. If you’re a germ-a-phobe, don’t despair. These new food trucks aren’t the Mexican taco stands you may associate with mobile food. 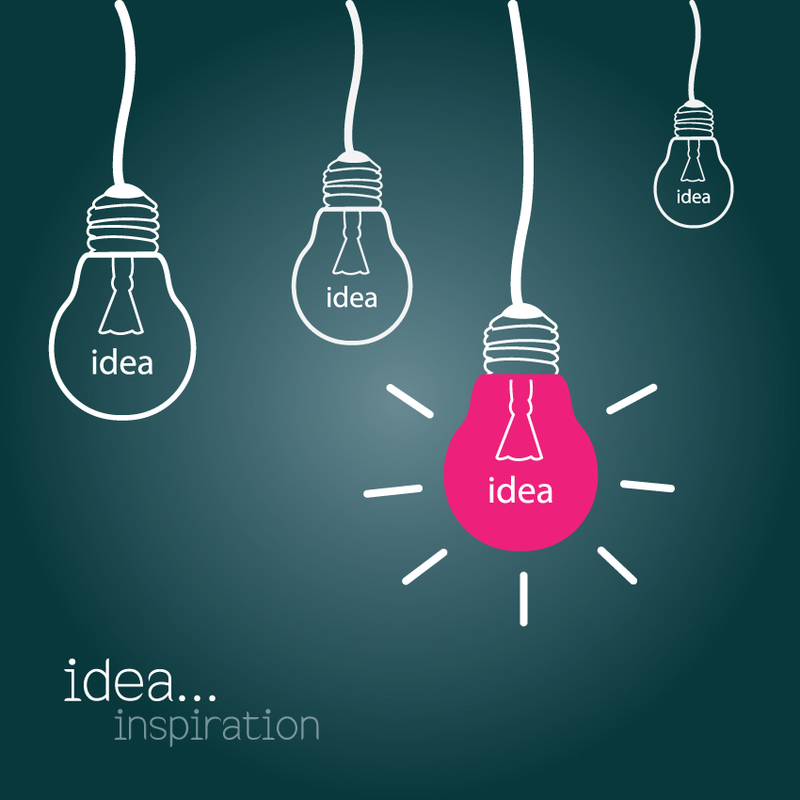 Take a chance on entrepreneurship (and go off of recommendations). We couldn’t agree more, even though so often budgets and regulations prohibit the exploration of creative venues. Three places we’ve previously reviewed as beyond unique are listed below. Other venues we’ve come across in the last year are the Chicago Illuminating Company, exuding a modern, urban loft feel for your large one-night event, and the Inn at Lake Granbury for a retreat option with tons of amenities that can host a small to medium sized meeting. We love a reliable Westin, but sometimes you want to break out of the box and feel a sense of place beyond a brand. Even within office spaces, we love to see companies who make coming to work fun. 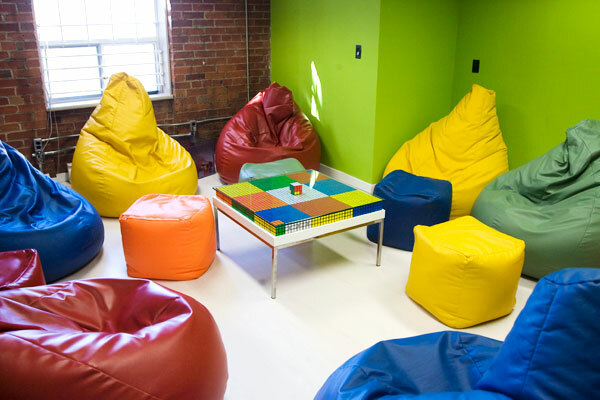 Google’s Brainstorming Room is a great example of using space design to foster personal creativity, as is Gap’s Rubik’s Cube Room. Have you had the opportunity to take a meeting or event somewhere particularly unique this year? With gas prices constantly rising, traffic making the roads more and more congested, and technology catching up in strides, telecommuting has become more popular the last five years or so. Our company has blessed its employees with flexibility but are all things equal when telecommuting? We’ve put together a pros/cons list from those of us who do telecommute. Flexibility: Whether it’s throwing in a load of laundry while you’re waiting for an email, or being able to exercise since you’re not spending that time commuting, everyone agrees that telecommuting’s biggest asset is the flexibility. Financial: Have you seen the gas prices lately? And it’s not just gas; it’s the wear and tear on your car, the not going out to eat with friends every day, and the reduced need for so many suits and skirts. Your wallet, no doubt, benefits from the telecommute. Going Green: Commuting is talked up as one of the top contributors to air pollution, as more and more people join the work force and spend hours on the road. If you’ve ever rolled down your window while sitting in traffic on the highway, you can’t help but agree. There’s a reason people go camping–it’s the fresh air. Productivity: Most telecommuters would agree that without the constant distractions of a traditional office environment, they are actually MORE productive when left to their own devices, and find that they accomplish more in shorter time frames. Peace of Mind: Whether it’s to be at home when your kids get off the bus, or just the relief of not wasting two hours a day in traffic, your day is likely a little calmer than the average commuter. Flexibility: If you are a routine-type person, the flexibility of telecommuting may actually be an adjustment. Personally, I make myself get dressed instead of sitting in my pajamas, and had to settle into my own version of a routine, even if it didn’t involve getting in the car to go to the office. And if you are a Type B person, telecommuting may provide too much flexibility which translates into less productivity. Social: Telecommuting, no doubt, does take a specific type of person. You have to be content with the lack of daily face-to-face interaction with your colleagues. No, there aren’t spontaneous donuts waiting in the breakroom, and no miscellaneous chats at the water cooler. Technically Speaking: You can’t walk down the hall to the IT department asking why your email archive folder is missing, or join the rest of the office in a coffee break when your internet goes down. No, you are on the phone with the internet provider or your IT rep begging for a solution. When it comes down to it, you probably aren’t choosing to telecommute unless you have an arsenal of reasons that make it worth it, but what are your thoughts? Would you be well-suited to telecommute or do you prefer the traditional office environment?